It was a sweet sun-kissed Southern California day when I arrived with the worst case of jet lag on the west coast. Given the time change between Shanghai and Los Angeles, I wasn’t sure what day it was, only that I’d been awake more than 48 hours, covered two auto shows back to back, and had a 350 horsepower Nissan 370Z, the Nismo edition of all things, waiting for me at an offsite parking lot near LAX. There’s no rest for the wicked though, and upon arrival it was time to hit the road. Thanks to a wristband guaranteeing entrance to the 2017 Coachella Valley Music and Arts Festival and an eye-searing Solid Red paint job with looks far more exciting than the color’s name, I hit the ground running to make up lost time. Like many assertive left-lane lovers, your fair writer likes to think skill with the third pedal is innate, but it quickly became clear that the tightly wound clutch would take time to get used to in LA traffic, more time then the four days I had with the loaner. Luckily the road to Indio, California where the festival is held is fairly straight, but that proved to worsen my scenario. Even when running on multiple energy drinks, playing into the stereotype of a 370Z owner, the Nismo-tuned suspension lent a nervous character at speed. Made up of a 3-point front strut tower brace, vibration performance dampers, front and rear stabilizer bars, a viscous rear limited-slip differential, and vehicle speed-sensitive steering, the coupe had a habit of darting its nose at the slightest hint of steering input. A persona that could prove to be fun in the corners was nervous and demanded constant attention to keep straight on the freeway. At least passing power was decent thanks to a reworked engine and an admittedly not-so-brisk 276 lb-ft of torque. Engage the automatic rev matching meant downshifting was a breeze, and while the exhaust note is a bit subdued, the stylish body meant that no adjacent roadgoers were surprised when the 3.7-liter V6 began its ascent towards the redline. Of the modifications, the large dual exhaust, front and rear fascia, body sills, a rear spoiler, and plenty of Nismo-exclusive accents were the most attention-seeking. Most drivers let me through out of respect, though I suspect some did out of fear. Like a Honda’s V-Tech, power delivery is not linear. Mash the throttle and the engine seems to give itself a pep talk before the power rushes in higher in the rev band and pushes a leather-appointed alcantara seat that’s colored black, accented with red fabric, and emboldened by a Recaro logo, into my back. Moments like these reminded my sleep-deprived brain of the task at hand, but the place where the Nismo really came alive was in the middle of a high-speed corner. A series of them were littered on the interstate about 30 minutes before reaching Indio. With the drive wheels 20mm wider than those at the front, the squat rear end digs into the corners, sometimes at the expense of front end grip, but does away with a turn in a clean and planted manner with limits being advertised before the traction control kicks in. 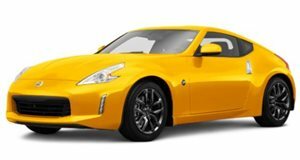 Unfortunately, cornering in the 370Z has to be good because despite the high rigidity brake hoses, red calipers, and what Nissan calls “R35 Special II Brake Fluid,” hard stops at speed are not a pleasant event. Unlike cars with the RIGHT NOW immediacy of a sports car panic stop, the 370Z Nismo gives a gradual bite, requiring the driver give more room to stop. As tempting as it would have been to use the Nismo as a tent car on Coachella campgrounds, a delayed flight from Hong Kong meant the deadline to enter had passed, forcing a last minute attempt to find parking three miles away from the venue. When taking a cash-only cab to pick it up at the conclusion of the festival, the driver was not happy to hear that I had no paper currency with which to provide a handsome tip after seeing the retina-scorching paint job and flashy Nismo body kit. I took it as evidence that despite the 370Z’s age, it still looked fresh enough to turn heads and make its driver look special, which is half of the car's job. Unfortunately the return trip to Los Angeles was as unpleasant as the trip there. This is not a fault of the vast amounts of noise, vibration and harshness that permeate the cabin (reprimanding a sports car for this is like blaming a Ferrari for being too fast) but because of my fatigue. A good night’s rest and a sunny LA morning restored spirits and my love for driving, allowing me to use the Nismo the way its Japanese engineers intended: by rolling down the windows, ordering up some calming tunes over the Bluetooth audio system, and taking a spin through the curvaceous roads that surround the Hollywood sign. This proved to be a much-needed slice of bliss, akin to jumping into the ocean after a 13 hour workday. The manual transmission and low front end occupy the mind both in the city and en route to the mountains. However, the ease of the task allows the experience to be meditative, a direct contradiction to the anxious behavior exhibited at highway speeds. Likely due to the hundreds of highway miles prior to my tour of LA, the 370Z Nismo returned 19.5 mpg at the end of the 377 mile trip, 1.5 mpg more than is advertised for the city though less than the 26 mpg the EPA claims for the highway (21 mpg combined). The Nismo’s only main drawbacks, aside from the $46,495 price tag (with the only option being the $140 floor mats), were its age and slightly underwhelming power delivery. Torque is to blame for the latter issue and a redesign will quell the former. However, so far as the eye can see and the hands can feel, Nissan does a great job of hiding the wrinkles with well-appointed and quality interior. If any of the new Infiniti Q60’s components are diluted to the 370’s replacement if it comes (especially the torque-filled twin-turbo V6), expect Nissan’s sports coupe and roadster to provide a solid budget alternative to cars outside of its class like the Audi TT or Jaguar F-Type.